The great majority of people lived in rural areas where building was largely in the hands of carpenters and mechanics who relied on books. Thus it was through pattern books that the Greek Revival spread across the nation and became for nearly forty years the national style. This is what it looked like two weeks ago when I and my colleague, Mike, walked away to other projects. 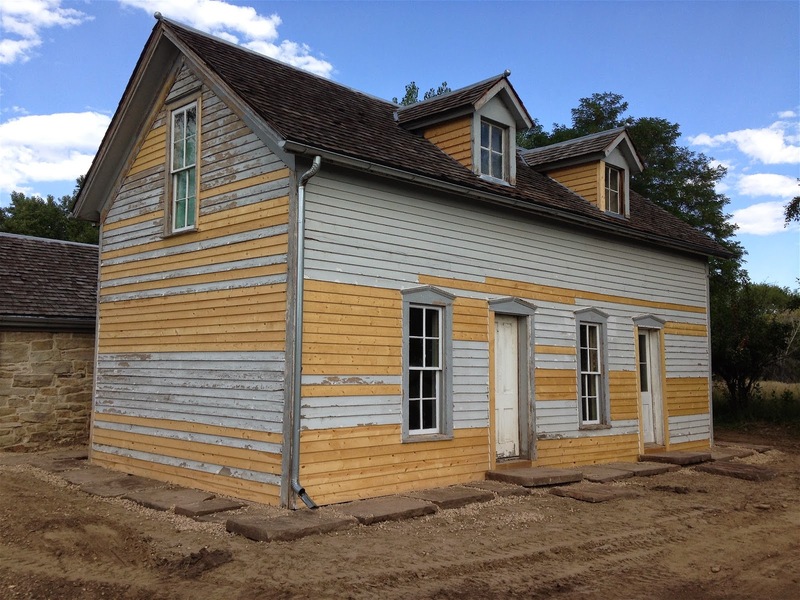 We completed the siding repairs and I even found a door that matched the original door that you see on the right side of the building. It was amazing that it took us 3 days with a skid steer loader to remove enough soil so water would drain away from the house. We removed so much soil that we were able to fill in part of a washed out on the pasture that is next to the house, the hole we filled was over twelve feet deep, twelve feet wide and twelve feet long! Yesterday, 9/26, I spent all day scraping paint, also had Jake, another seasonal, doing exactly the same thing. 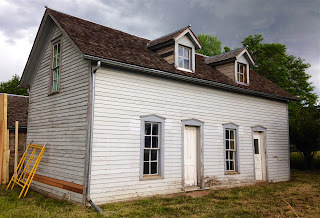 There is a lot of prep work to be done, scraping paint, masking off windows, gutters, parts of the roof and parts of the stone house that is attached to the building. If Mike and I can start applying the paint by next Thursday we will be lucky. Once it is painted I will post a photo of how it looks!